Bollywood is all prepared for the 18th International Indian Film Academy Awards being held in New York this weekend. The event will begin on 13th July 2017 and continue till 16th July 2017, though the main event will be on Friday 14th July and 15th July. The event is going to be held at MetLife Stadium, New York and is going to be telecast on Colors TV Live. ‘IIFA Awards’ is one of the biggest events of the year where the best of Bollywood is honored for their work. This is an award function in which the entire Bollywood family takes pride in attending. The event is considered prestigious and the whole of Bollywood will be present to encourage the Winners and the Nominees. The best of Bollywood in different categories like Acting, Singing, Direction, and other Technical categories are honored with the IIFA Award. IIFA Awards also presents Special awards like IIFA Lifetime Achievement Award, Style Icon, Style Diva, most Glamorous Star, Outstanding contributions, Outstanding Achievement etc. The show is well known among not just the Indian audience but the Bollywood enthusiasts around the world, mainly because of the amazing singing and the sizzling dance performances of various actors and actresses. Along with the honors, the show is fun filled with these performances and jokes and acts by the hosts. The most prominent Bollywood actors and actress attend this event and some of them are going to dazzle with their performances. Artists like A R Rahman, Mohit Chauhan, Jonita Gandhi, Diljit Dosanjh, Hariharan etc., are ready to sway us with their singing. 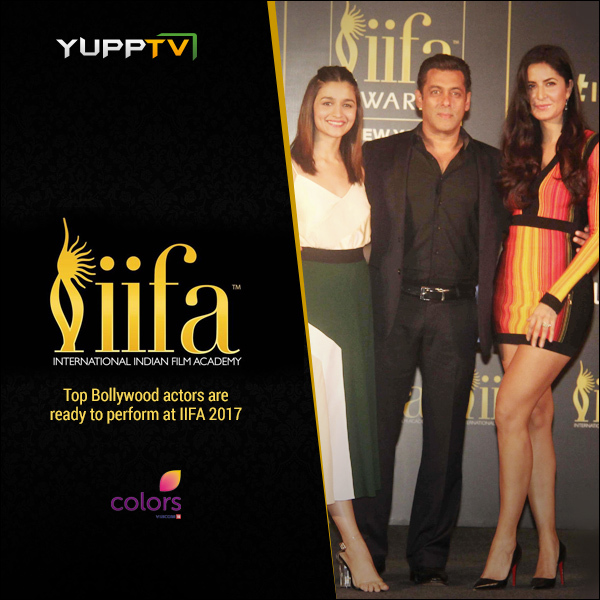 The official website of IIFA also listed the names of performers who are going to sizzle with the dance performances like Alia Bhatt, Katrina Kaif, Kriti Sanon, Salman Khan, Shahid Kapoor etc. Saif Ali Khan and Karan Johar will be hosting the event this year. The event is going to be telecast on 16th July, this Sunday. You can catch the event online on Colors TV Live on YuppTV.